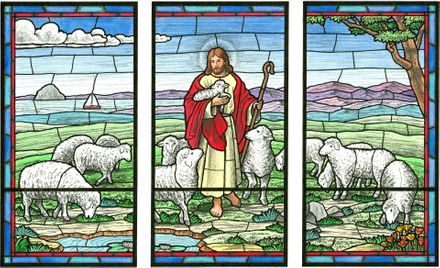 In 2013, Laws Stained Glass Studios installed new hand-stained pictorial glass windows at the Newman Catholic Center. The two windows depict Jesus as the Good Shepherd and Mary as Our Lady of Mercy. 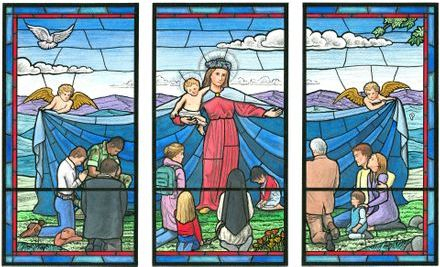 Our Lady of Mercy window was customized to include various persons and people groups. Both windows were cartooned and painted by Laws' chief artist Nina Haynes. *Note that the below photos were taken with very low outside light and thus the windows look much darker than in the normal sunlight.